Born and raised in the Bronx, New York, Essex County College President Dr. Anthony E. Munroe's journey has been an interesting and inspiring one. Dr. Munroe took over the reins at Essex County College in Newark in June of 2017. Dr. Munroe has three decades of experience as both an educator and a nationally recognized executive leading urban healthcare and health education institutions. 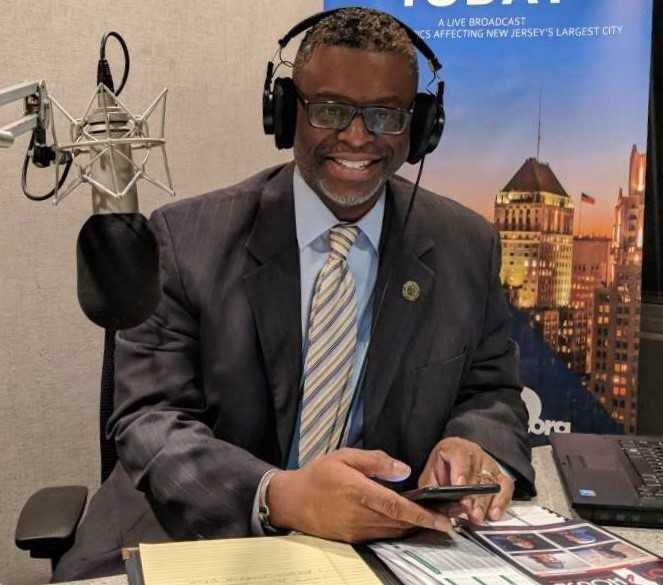 A fan of Miles Davis and Wynton and Branford Marsalis, Dr. Munroe sat down this week with WBGO News Director Doug Doyle to talk about the College's programs, initiatives and goals. Dr. Munroe was a non-traditional, adult student who worked full-time while pursuing his college eduation. He understands what students are going through and says he often meets with them. "Over the last couple of days, I received a number of emails, as I do on a regular basis, from students expressing their concern but also asking for assistance, asking for guidance. I think it's important for us to hear our students and to be responsive to our students and to be available to our students. I try to meet with them, I try to walk around. I'll pop into classes every now and then when my schedule permits, go to the cafeteria and meet with student leadership, student organizers and try to be available to students as much as possible." Dr. Munroe says having passion is a key for students searching for a career. That passion was especially true for him. "What I do is my calling. It's not a job, never has been. It's why I'm here. I think my almost 25-year experience in healthcare and working in some really challenging settings have prepared me well as a turnaround expert, and I say that with all humility, in that we needed to address some issues at Essex County College. We need to own some of the issues and we need to address and resolve them. And we did." Dr. Munroe says he's extremely proud of the strengths of the college. "We have a significant and strong focus on STEM (Science, Technology, Engineering, Mathematics), in the Sciences and Engineering. The overwhelming majority of our students transfer to Rutgers. A significant percent end up going to NJIT. We lead the region in producing Jack Kent Cooke Foundation Transfer Scholarship recipients, we are up to 17. There aren't many other colleges in the country that can say they can produce that many Jack Kent Cooke Scholarship recipient. As is stated in our mission we are really focused on academic excellence." 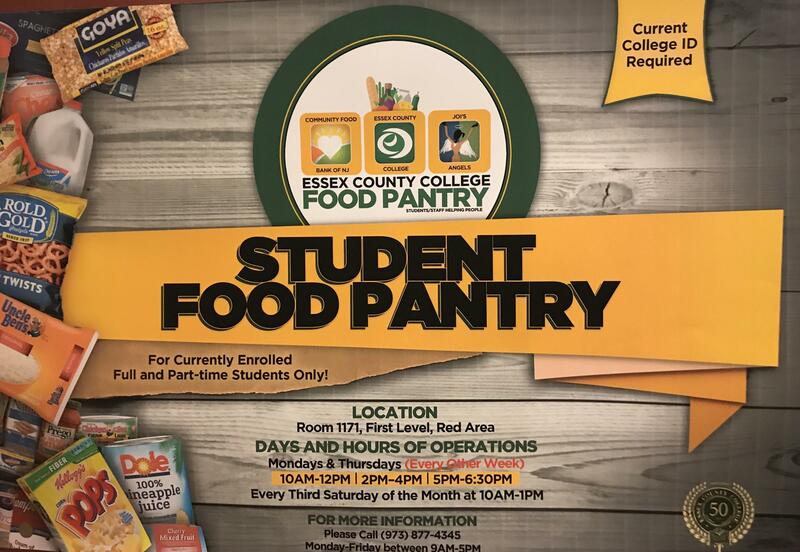 Essex County College's Student Food Pantry program has been a big success too. "We serve a very diverse student population. One of the things we recognized after surveying our students a couple of years ago was that there's a tremendous need in a number of areas, transportation, child care, tutoring, but also food. Many of our students have shared with us through this survey and other mechanisms that often times they could not afford a good healthy meal. We have to take care of basic needs, and food is where we started. We established last year a food pantry. It started off very very small that will eventually student-run. But it's no questions asked. You show up at the pantry during the hours we have it available and you have the opportunit to go food shopping and take care of yourself and your family." The food pantry is funded through a partnership with Joi's Angels and the New Jersey Community FoodBank. Dr. Munroe admits decreasing enrollment is the College's biggest challenge right now. "We've seen a decline in enrollment. There are multiple reasons and factors, there's a national decline. It's known in higher eduation that whenever the economy is strong there's an inverse relationship and you'll see a decline in enrollment because people are working. And so, we're putting some strategies together to ensure that we communicate the value proposition. We're the best game in town from an economic perspective. You get a quality education, a solid education at Essex County College at a fraction of the cost." To learn much more about his career and family, click above to hear the entire conversation with Dr. Anthony E. Munroe.